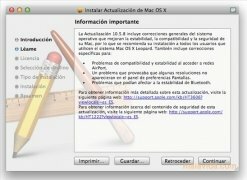 Just as it happens with the rest of platforms on the planet, it's necessary to maintain Leopard updates at all times, because thanks to this we will be able to eliminate any possible errors that may affect how our computer performs and works. 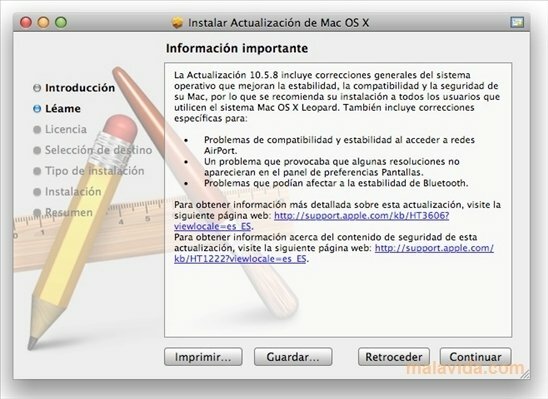 Leopard, one of the operating systems by Apple with the most success, usually receives periodical system updates, that normally affect the performance, the stability and the compatibility of our machines. 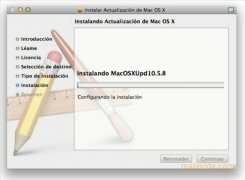 In the case that we don't have a stable Internet connection, it's advisable to have the executable files of each of the updates available to be able to install them properly. 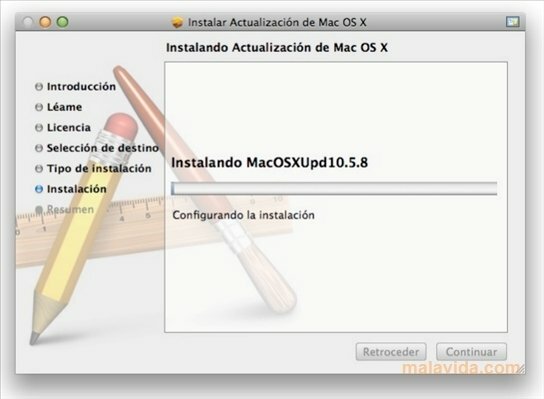 As well as fixing security, stability and performance errors, the updates by Apple improve how the system behaves, specially the compatibility of the Bluetooth system with several devices or how they start up, turn off and hibernation functions. Update your Mac with this pack and make it work better than it had ever done until now.